I stumbled onto a mystery this past Sunday. It started off a cool Bay Area morning — so gray and foggy you’re not quite sure if it’s ever going to burn off. 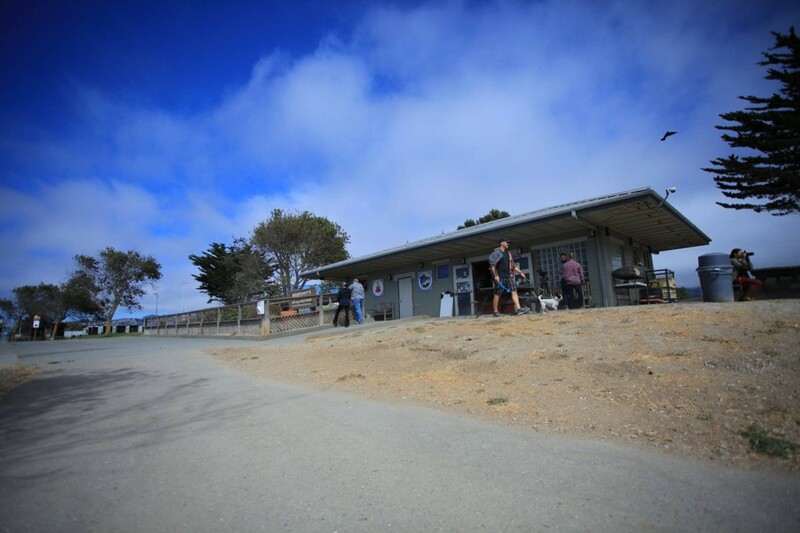 My husband left the house at 6:30 a.m. to go surfing, and the plan was to take my 3-year-old son to meet him and some friends at Richmond’s Point Molate Beach once we’d had a chance to wake up and put food in our bellies. The sun broke through brilliantly by the time we reached the beach. One man with a fancy looking camera strolled the water’s edge, and two kayakers set off into the placid bay. I’m a finder. I love to poke around; once I picked up a paper bag on the street filled with small bills in cash. I find earrings people have lost, and once I found a watch buried in sand at the bottom of a lake. I could hear the alarm going off underwater and followed the beep. But today would be my strangest find yet. We stopped at a spot near the water just before an outcropping of red rock that breaks the line of the shore. My son and his best friend started digging in the sand, splashing in the shallow water and throwing pinecones. As they played, I set off a little ways down the beach to poke around. I wasn’t looking for anything in particular, just picking up small shells (sand-castle decoration?) and interesting rocks. I noticed a piece of reddish-brown plastic jutting out of the sand and leaves above the high water mark and knelt down to investigate. As I pulled at what appeared to be a plastic box, I noticed writing on the lid. The label was water-damaged and hard to read. Half the lid was torn away. A hand written “7-30-2013” is spotted in branches and leaves on the banks of Point Molate Beach. Photo by Sukey Lewis. I pulled the item a little ways out of the leaves, sand, and bits of bark. On the side was printed section 7054 of the California Health and Safety code —the law dealing with human remains. I had found a person — or rather what was left of one. I could clearly see the ashes, in a plastic bag tucked inside the reddish brown container. Who was he/she, and how did they get here? Was it a disposal at sea that washed ashore? Did someone want to be buried at Point Molate, and the tides had swept away the sand burying the remains? I showed my husband and our friends. My first thought was to take the ashes with me, but I quickly ditched that idea—we were headed to pizza and then the park—where would I put them? In my trunk with the beach toys and snacks? But, I also didn’t want to leave them where a dog or a kid could get into them. My friend suggested I call the park ranger. I wasn’t sure if there was a park ranger, but I did know Pam Stello, a volunteer for Point Molate, so I sent her a message letting her know what I had found and groping for what to do next. She got back to me later in the afternoon, and we had a back and forth about what I had found and where. She contacted the Richmond Police Department and took up the mysterious case. Following my directions, Joan Garrett, another park volunteer, found the cremains the next morning and spent half the day driving them to the coroner’s office in Martinez and then back to the Richmond Police Department. Though I handed off the “case,” I was still preoccupied by the … find? Encounter? Sunday night, my dreams were filled with spirits and ghosts, and Monday I kept checking my phone for updates from Stello, Garrett, or the police. I felt haunted, in a curious and gentle, but uneasy way. On Tuesday, I heard from Capt. Mark Gagan of the Richmond Police Department. He had some answers, and some new questions. RPD had identified the remains as a Jeannette Young, a woman born in 1956 who died in July of 2013, Gagan said. She was from Sacramento, as was the next of kin. But how did she wind up at Point Molate? Another odd thing was, there were another set of ashes, which had been turned in Sept. 2. Code Enforcement found them in Richmond’s Iron Triangle neighborhood next to a dumpster near Ninth Street and Lincoln Avenue, according to Sgt. Eric Smith,the officer tasked with finding next of kin. Gagan also pointed me to Irvington Memorial in Fremont, the crematorium that dealt with Young’s ashes. Owner Robert Rose said they too had three boxes of remains returned to them in the last week. There didn’t seem to be any connection between the five cases, but everyone agreed it was odd. However, Rose pointed out that the demographics of the dead are changing. 50 percent of Californians are cremated now, whereas a century ago cremation was a rarity. With more people ending up as ashes, there are simply more ashes to go around. Rose said he usually only has one or two “returns” each year. But Rose, along with everyone else I spoke to about the case of Jeanette Young, seemed troubled by the proliferation of abandoned remains. Even if you do not believe in a soul or an afterlife, there is something unsettling about the idea that there are these remnants of a human life floating around, seemingly misplaced or forgotten. The law basically says that it’s illegal to dispose of cremains in an inappropriate manner. But what’s “inappropriate”? Is it inappropriate to forget? “We’re not booking somebody for that,” Smith said. Another part of the law says that you need a permit to scatter someone’s ashes, so I thought maybe people have a hard time paying for the permit or completing the paperwork. While police are waiting to hear back from next of kin, Jeanette Young and the other as-yet-undisclosed cremains are being held in the RPD’s property vault, Smith said. I imagine their restless spirits hopeful for peace. But, I realize, it is my own peace of mind that’s disturbed. After all, it is we, the living, who are worried about being forgotten, misplaced, and unloved; we are the ones who are afraid of death. “Someday, we’ll all be ashes somewhere,” Gagan said. And perhaps that’s the real mystery. down and get a firm idea of what you can, and can’t afford. I want you to stop before you do this and first identify important project steps.